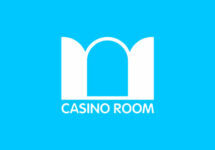 Win €1,000 in cash and potentially one of four progressive jackpots exclusive to Casino Room! This campaign is so good, it is scary! Casino Room just launched their own exclusive progressive jackpots on a range of slots from Play’n GO. To get off to a ghoulishly good start they will be giving away five times €1,000 in a Halloween raffle. Plus, players can of course win one of the four jackpots at any time. They are Mini, Minor, Major and Mega with the latter already at the €50K mark. 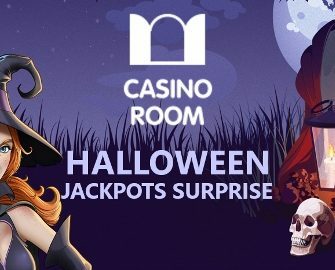 Halloween will have some extra sweet surprise for some lucky players at Casino Room. It could be you when you take part in their Halloween campaign with five cash prizes worth €1,000 each. They recently launched their own exclusive progressive slots with a range of games from Play’n GO and just kicked-off the celebration right in time for the spooky days of the year. Earn one ticket to the draw for every €50 on a selection of Play’n GO slots. There is not limit to the amount of tickets per player. Winners will be randomly drawn and notified via SMS on 2nd November 2018. Prizes are 5x €1,000 in cash, credited on the same day with no wagering requirement. All jackpot slots can be found in a separate section on the casino site. A range of Play’n GO slots have been equipped with four localized progressive jackpots – Mini, Minor, Major, Mega – which are exclusive to Casino Room. A percentage of each bet from all players wagering on the games will contribute to the jackpots. They can be randomly won on any spin and at any bet size.